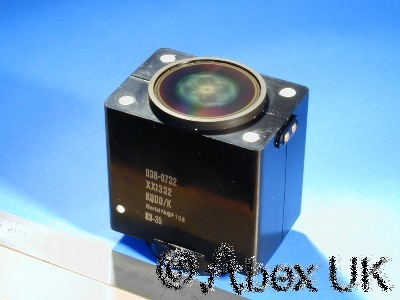 This item is a used XX1332 image intensifier tube, which has been passed "Grade B". The XX1332 is the most common of the XX1330 series tubes manufactured by Philips (Photonis). The XX1330 series of tubes are characterised by the very large 50mm input and 40mm output windows, which offer significant optical advantages in certain situations. Arguably the best intensifier tube available for security, wildlife and astronomy applications; possessing high gain, high sensitivity, and excellent resolution. They provide imaging in conditions close to total darkness, often requiring no artificial illumination. In security applications this is a major advantage, since the use of any form of illumination can give away the presence of the user or equipment. The XX1332 tube requires a 6V D.C. power source, consuming no more than 50mA. It will run for many hours on a set of "AA" alkaline batteries (not included). A bare XX1332 intensifier tube. We have supplied XX1332 tubes to professional and amateur astronomers, and many of the worlds leading meteor observation groups use XX1332 tubes. Housings, lenses and adaptors are available for these tubes. (Search online for the ScotoVision "X32") With the addition of a suitable lens mount, the flat 50mm input window is compatible with most 35mm SLR camera lenses; which will usually illuminate the entire photocathode area. Spectacular results are obtained using a "fisheye" lens. Please check our other auctions or contact us with any questions. Visit our intensified camera pages to see what you can do with an XX1332. View our technical pages for detailed information, including the full factory specification. Read our FAQ's and other technical articles for design ideas and examples. For complete night vision scopes, please see our other items. Tube Condition - this is the actual tube you will receive. This tube has been carefully checked, and meets our test requirements for "Grade B". 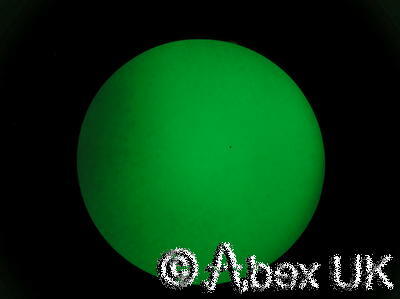 We have many years experience with image intensifiers and precision optical equipment. We recognise that for some applications, only the highest image quality will do. All of our tubes are tested under carefully controlled conditions in a purpose built test jig. We assign each tubes a "grade" to help quantify the image quality. Grade A is the highest quality we offer, and represents a tube with minimal defects, likely to be suitable for scientific and professional applications. Grade C is the lowest quality we offer, suitable for less demanding applications and "recreational" pursuits. The lower grade tubes will have "burns" or other image defects which "spoil the view" to some extent, but these do not affect the general sensitivity or gain. It is worth noting that even a grade c XX1332 will significantly out-perform the cheap Chinese and Russian tubes found in products offered elsewhere, and by some High Street photographic stores. The image to the right is the "defect" pattern of the actual tube you will receive, illuminated at a uniform low-lux level. 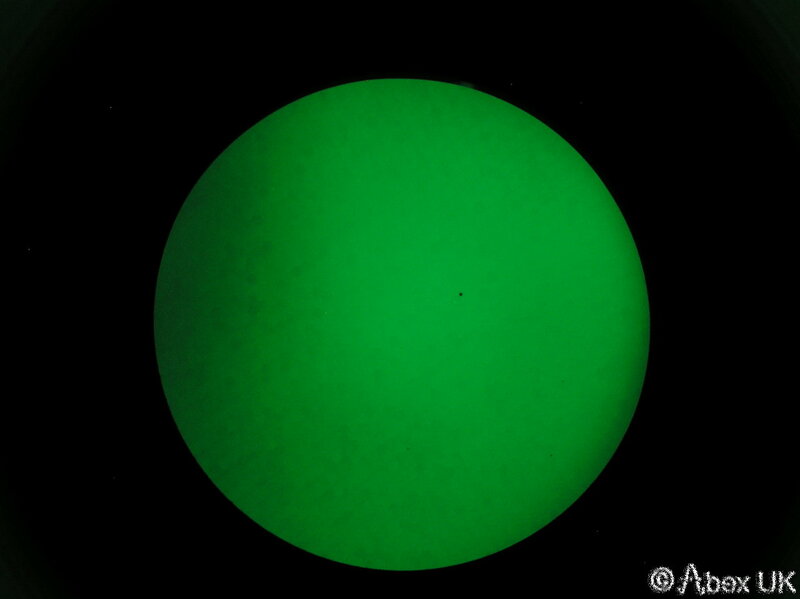 The purpose of this image is to reveal any "burns", which show up as dark spots or patches against the green background. The hexagonal pattern which is sometimes visible across the entire image is normal, and results from the manufacturing process used. This tube has been passed Grade B. Please click on the image to see a high resolution version. Click image for a high resolution version. "Defect" image of the actual tube.